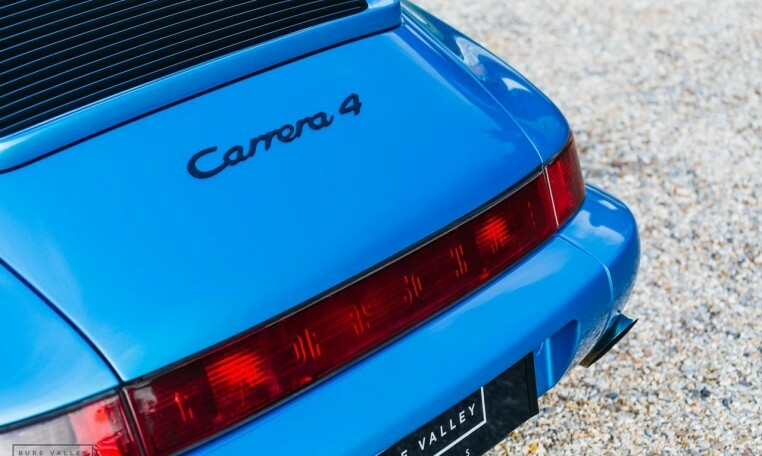 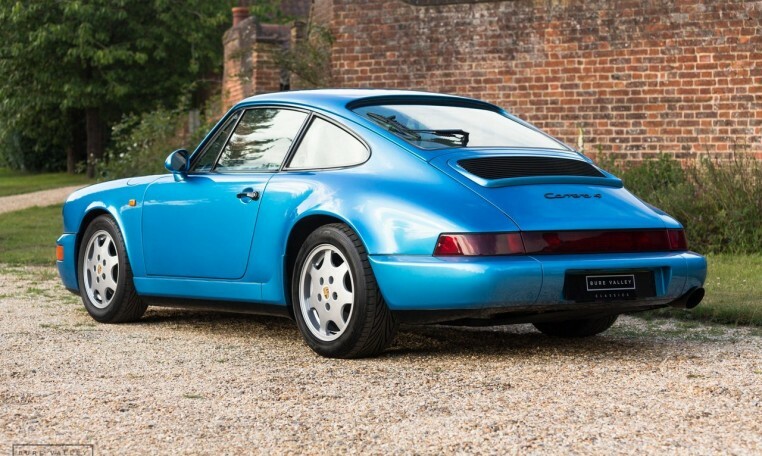 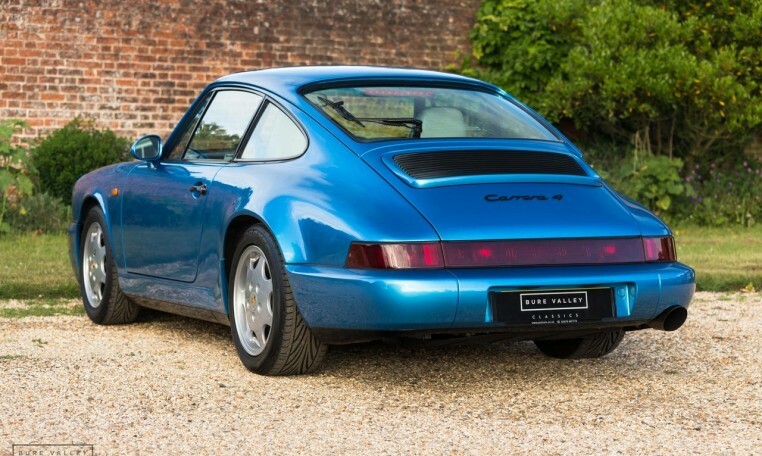 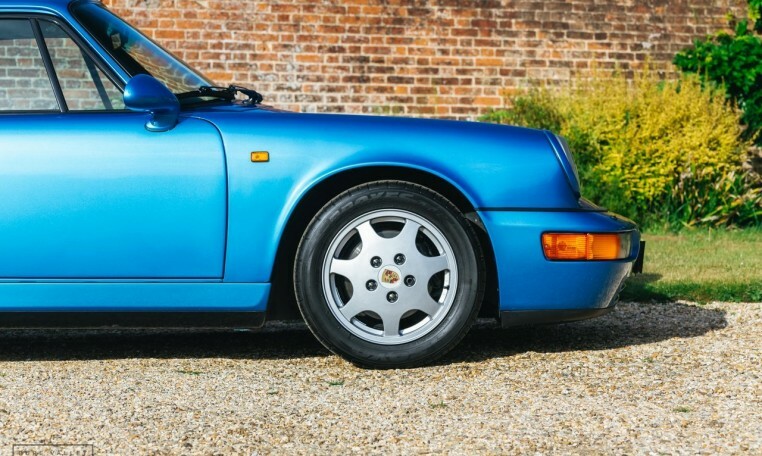 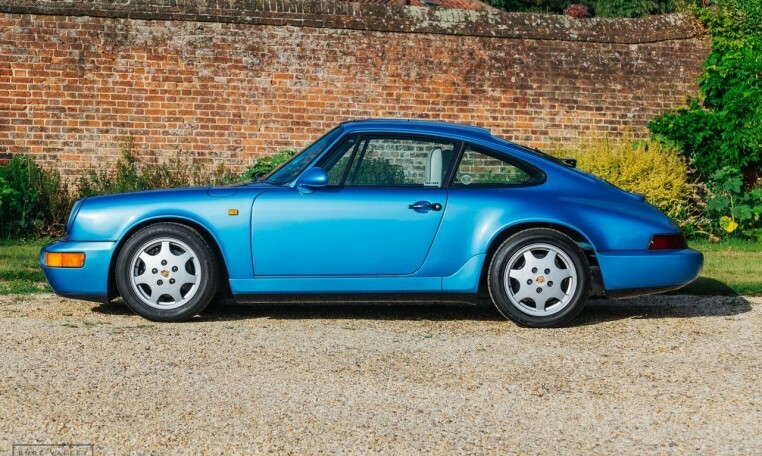 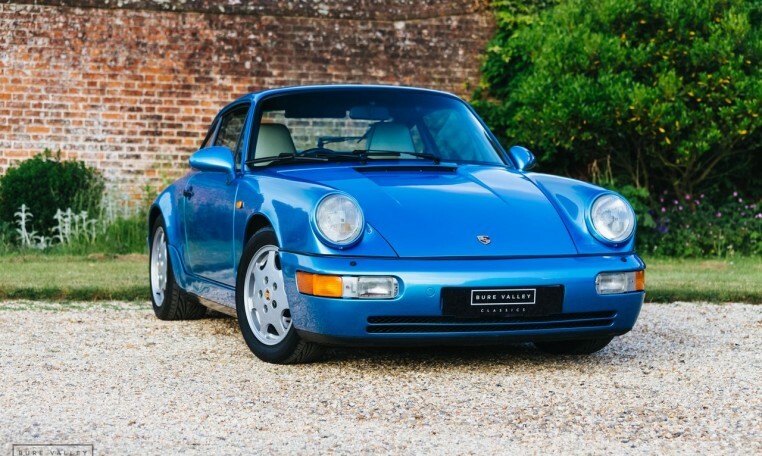 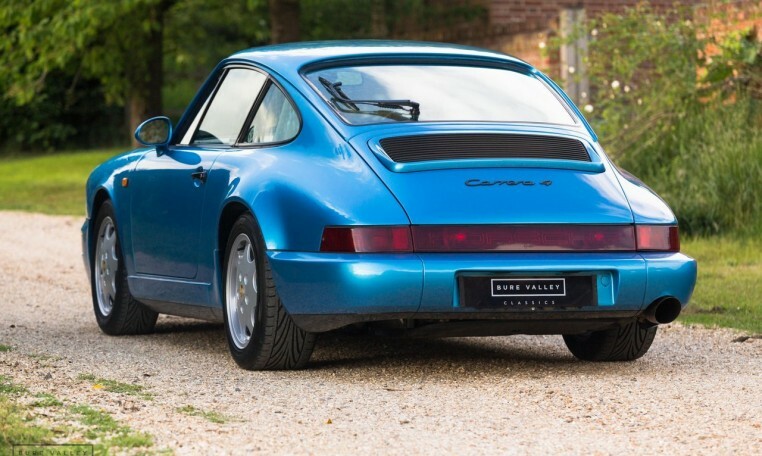 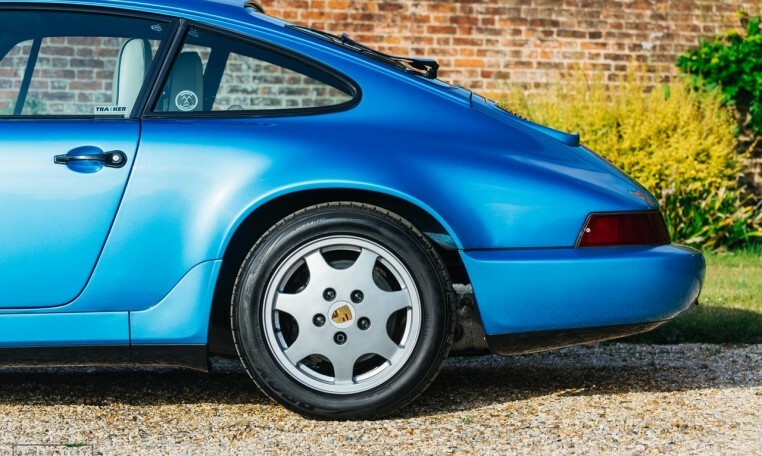 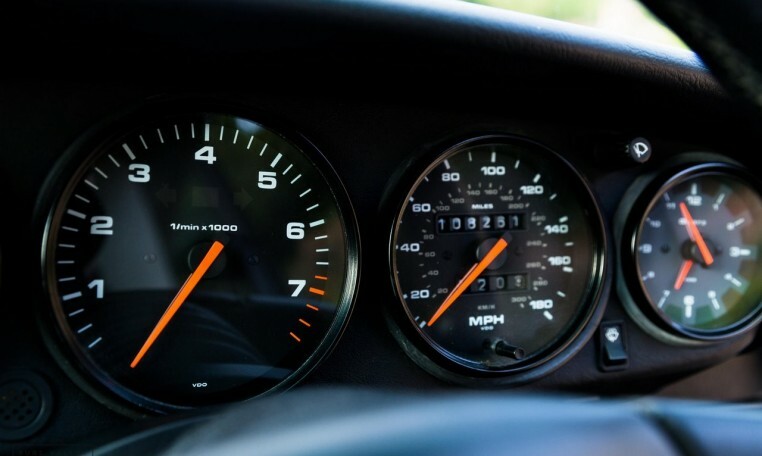 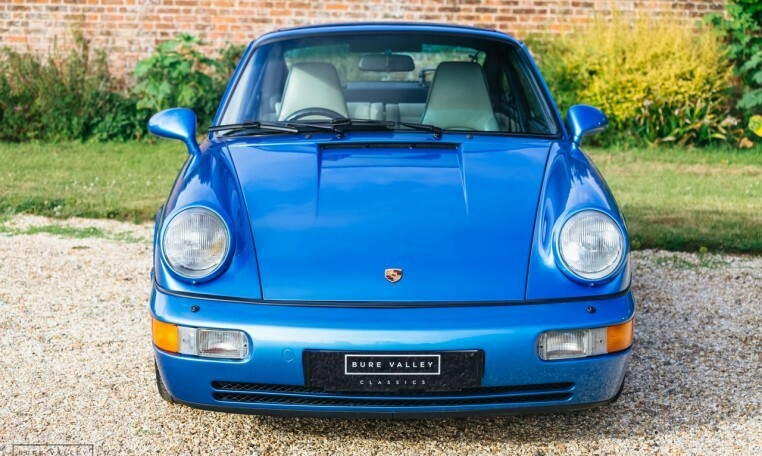 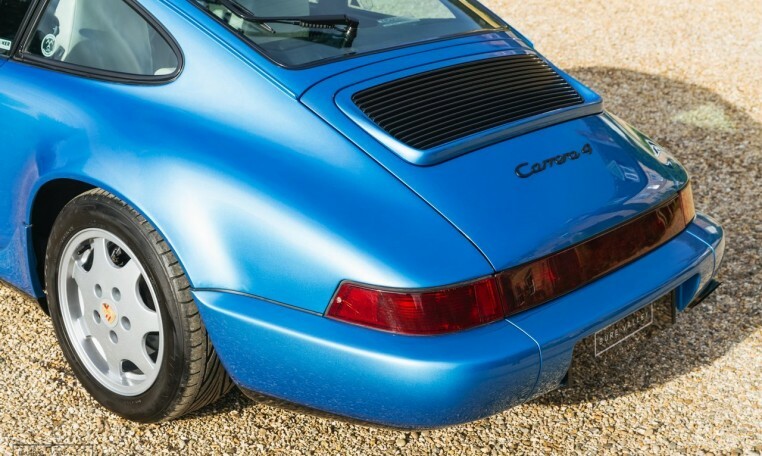 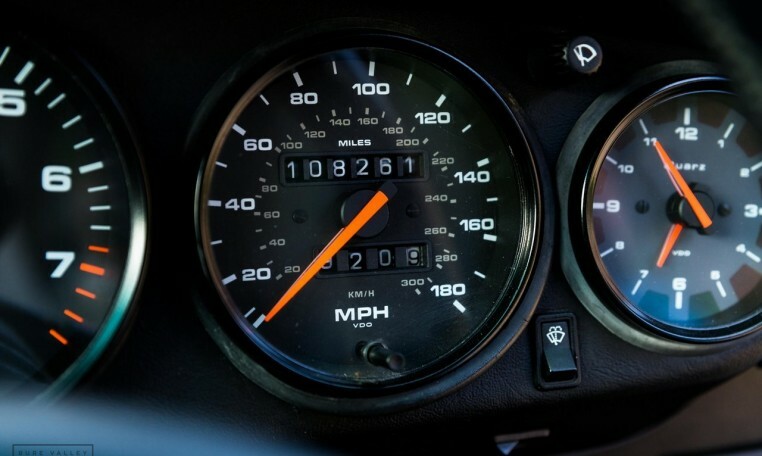 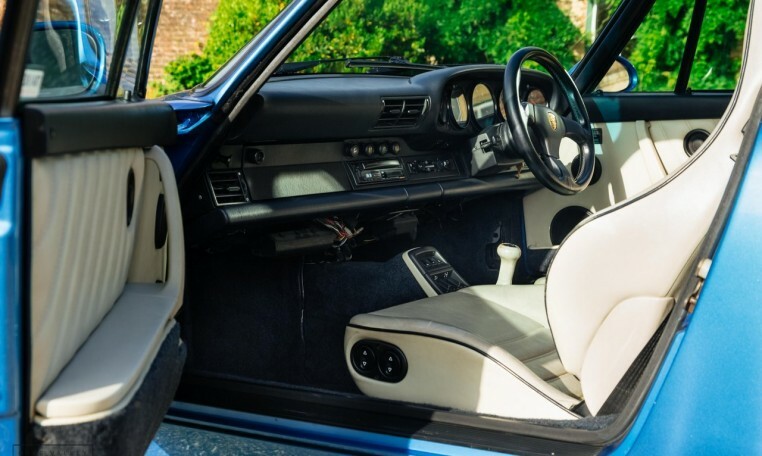 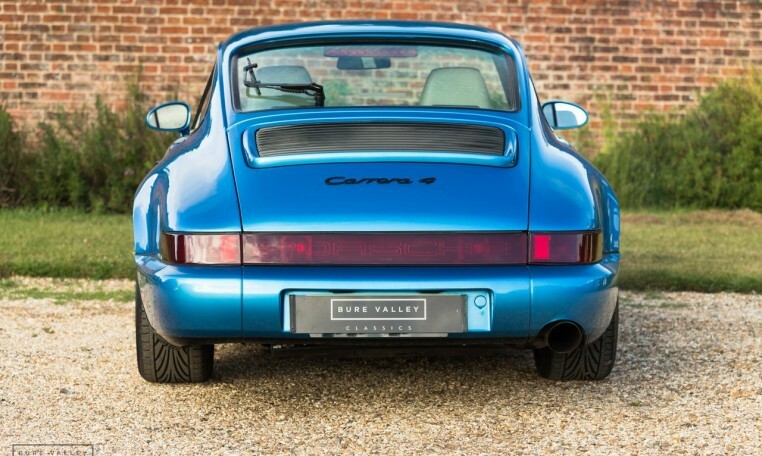 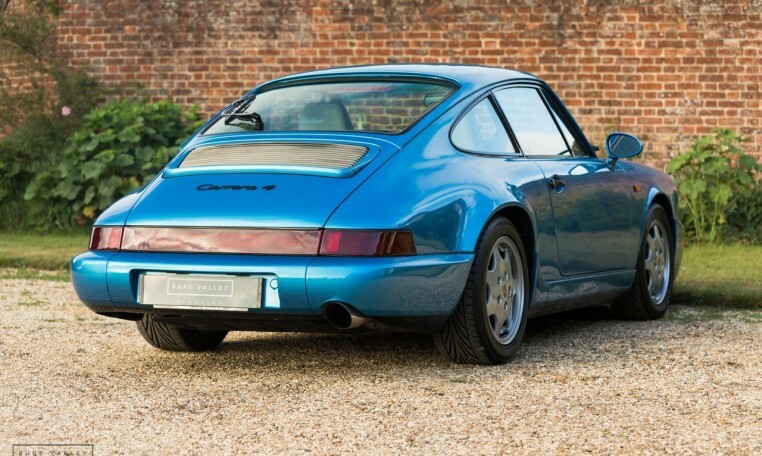 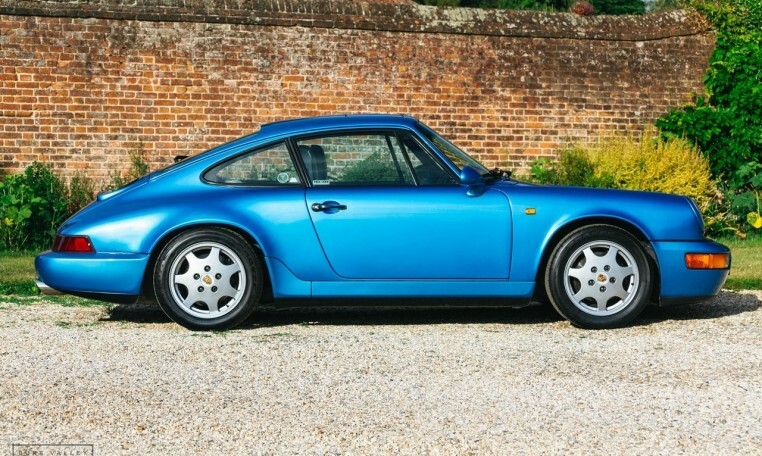 Bure Valley Classics are proud to offer for sale this Porsche 911 964 C4. 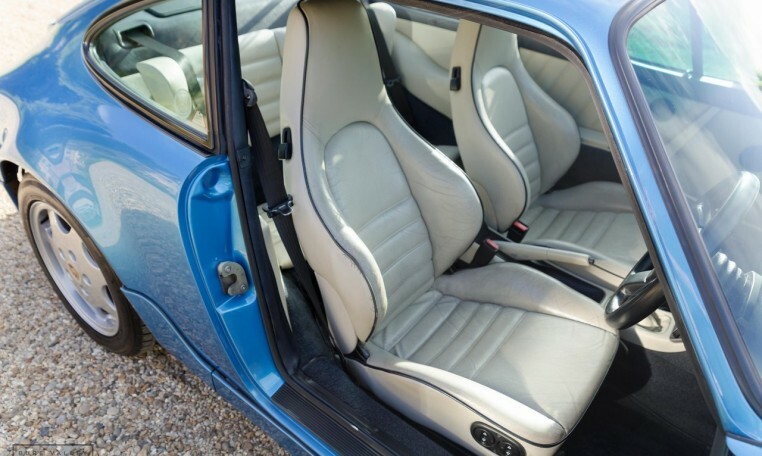 Finished in the special order colour of Tahoe Blue with Linen (cream) leather interior. 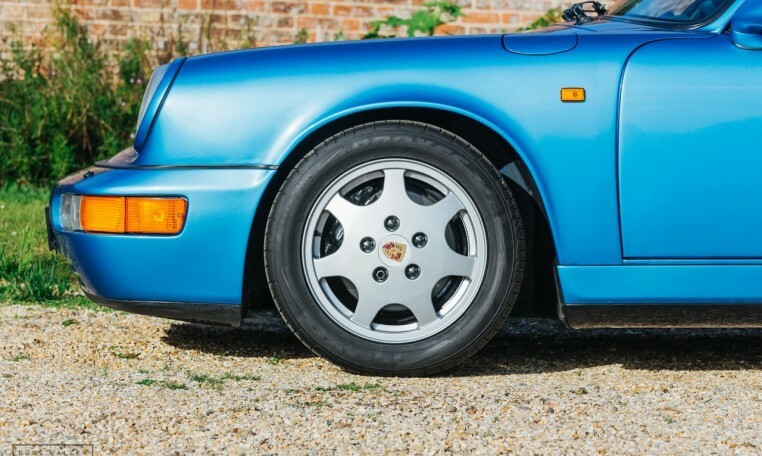 The paintwork is immaculate and looks fantastic next to the recently refurbished, unmarked alloy wheels. 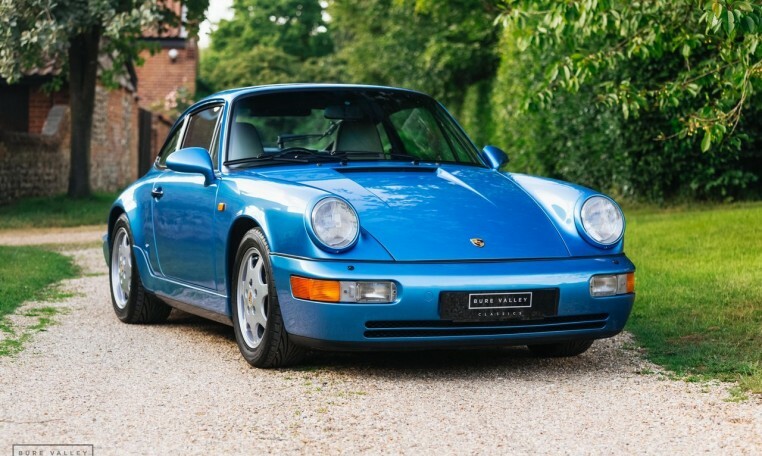 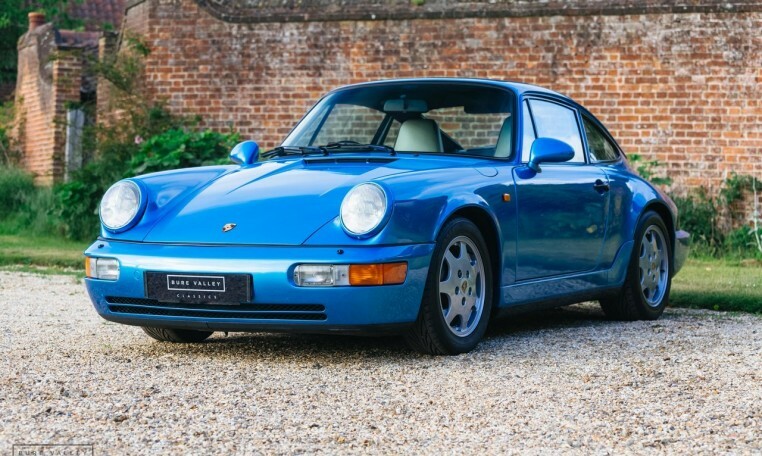 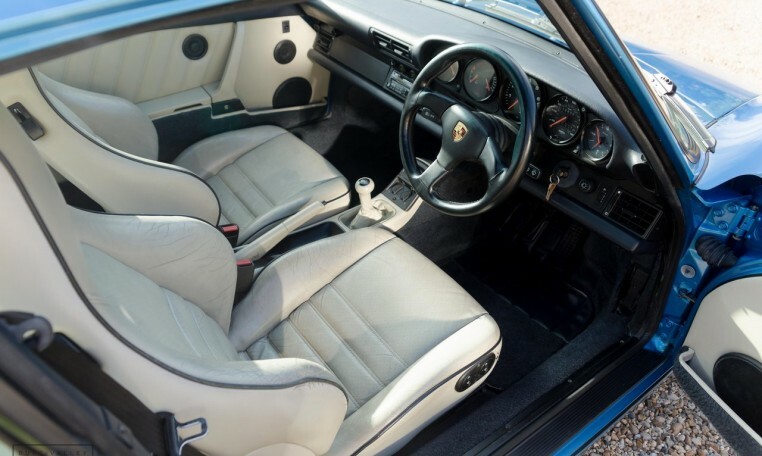 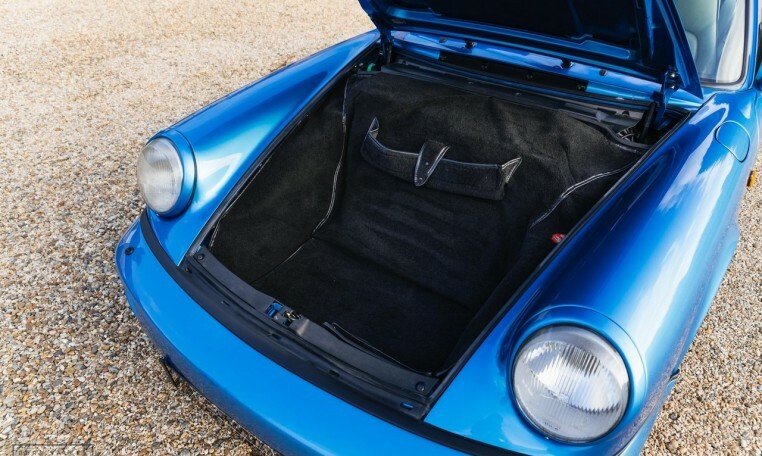 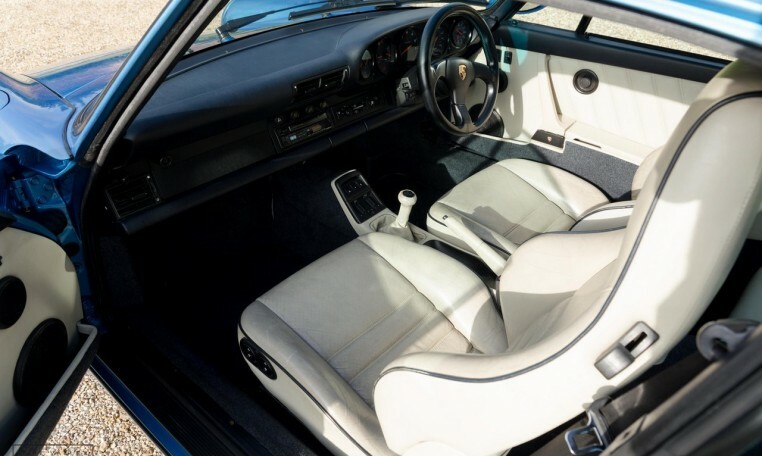 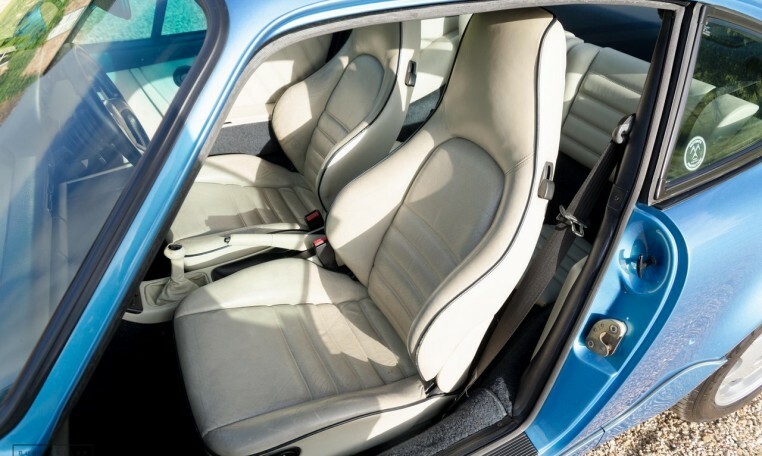 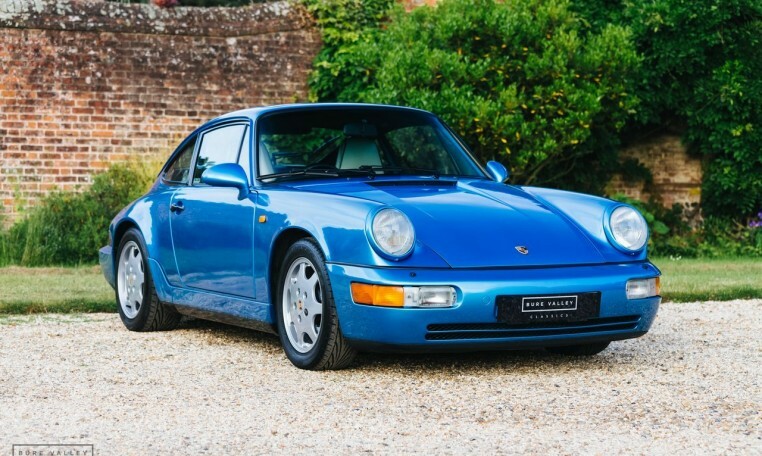 Sold new in on the 1st Aug 1990 by JCT 6000 Porsche Hull Ltd with the following options – Electric sports seats, Rear Wiper, Rear speakers, Top tinted windscreen & sun roof. 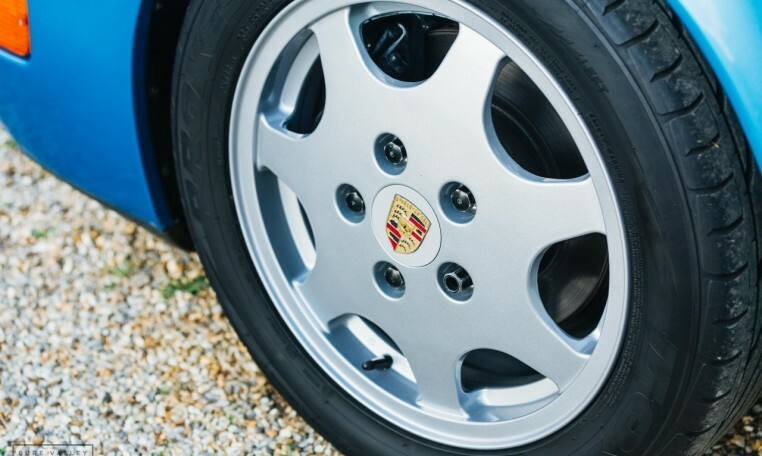 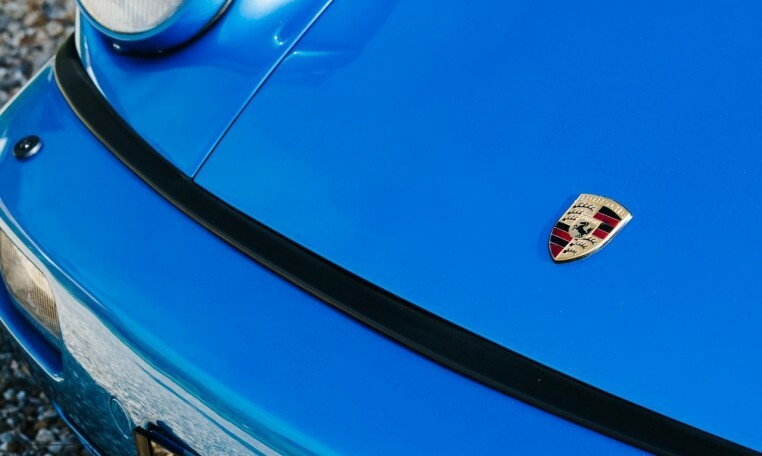 Supplied now with full service history with 16 stamps in the service book, all from Porsche main dealers or independant Porsche specialists. 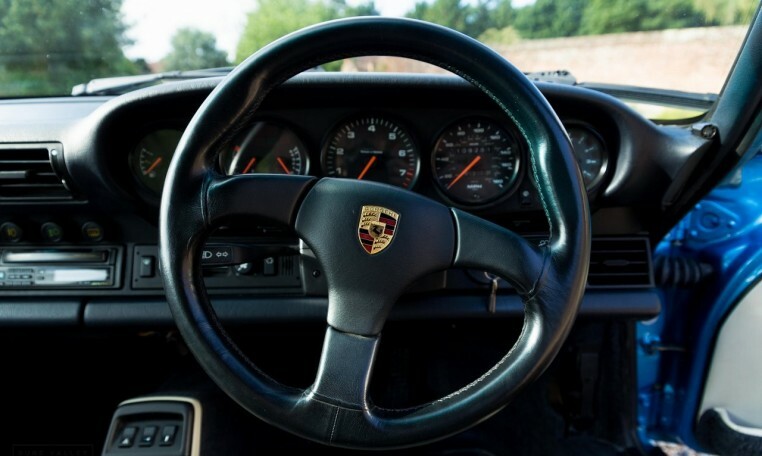 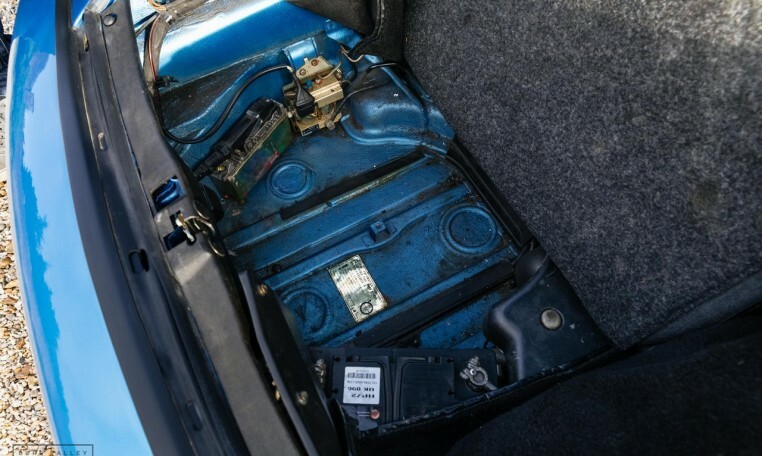 The car starts, runs as it should & is a joy to drive feeling precise & nimble on the road. 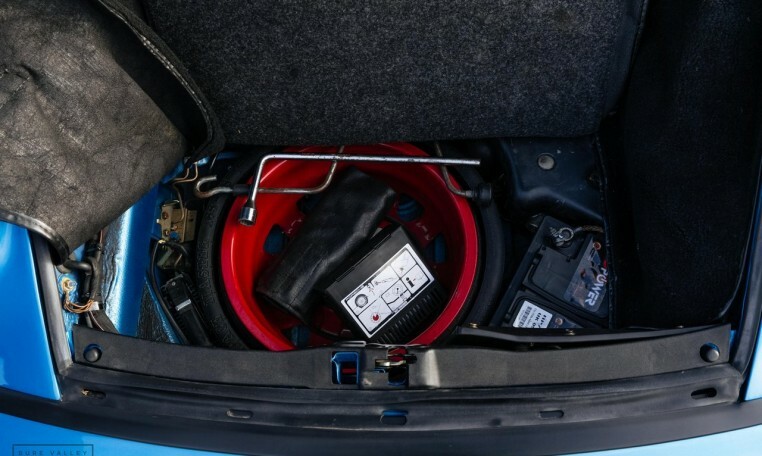 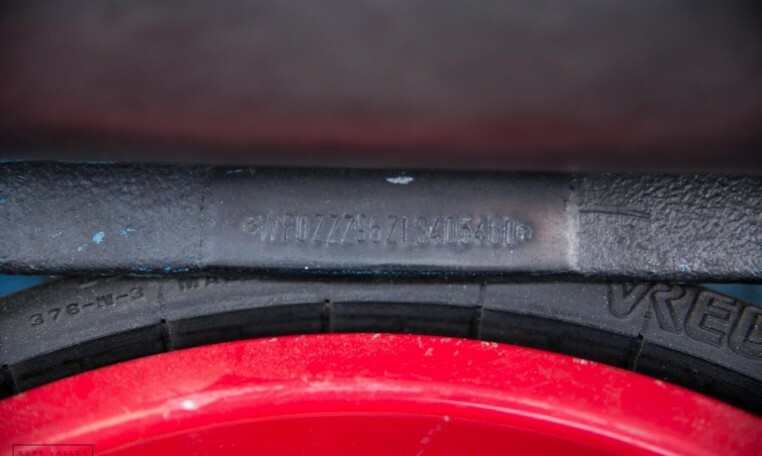 The car benefits from upgraded suspension through the addition of adjustable Bilstein coilovers all round. 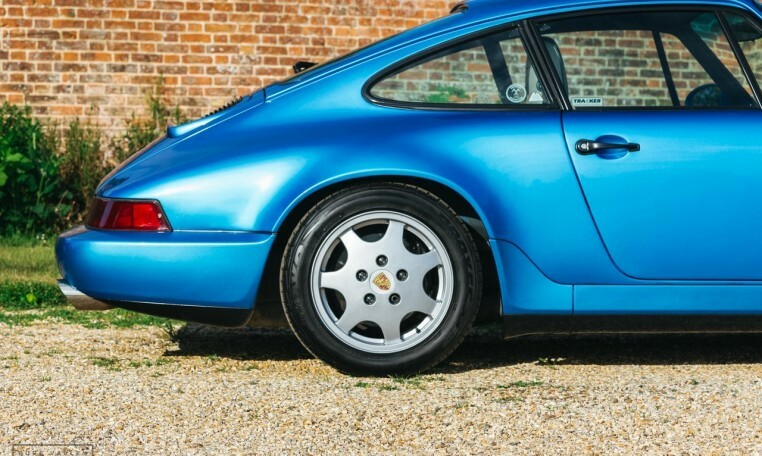 A new clutch was fitted 10,000 miles ago, the Toyo tyres are all very good and the power assisted brakes pull the car up straight. 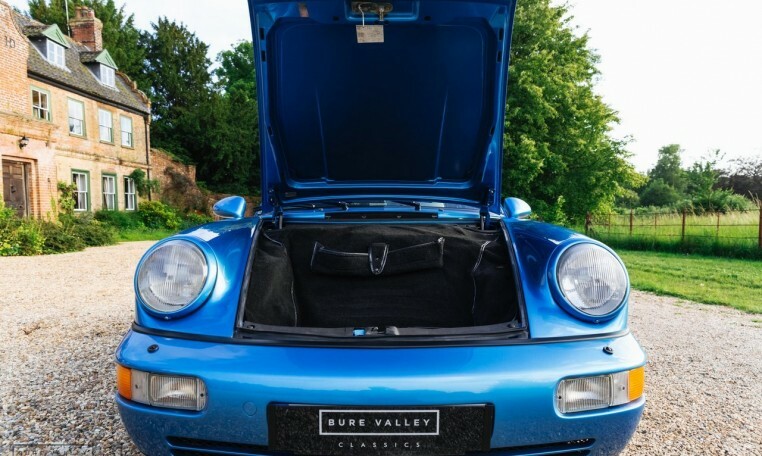 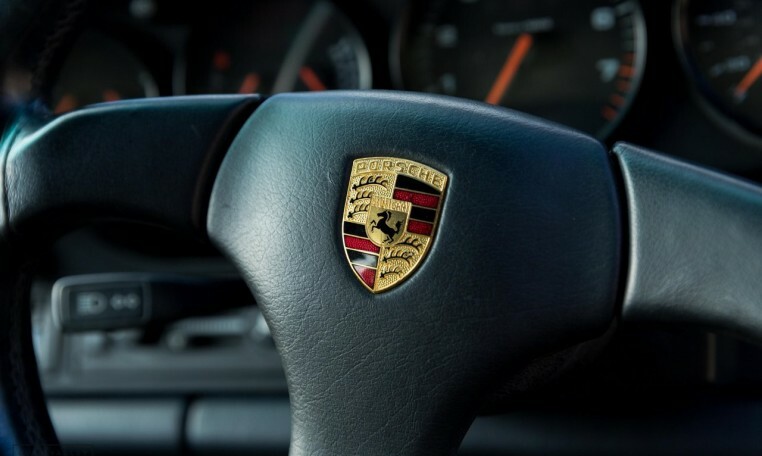 Porsche certificate of authenticity present along with the original book pack, owners manual, 2 keys & large history folder including almost all past MOT certificates. 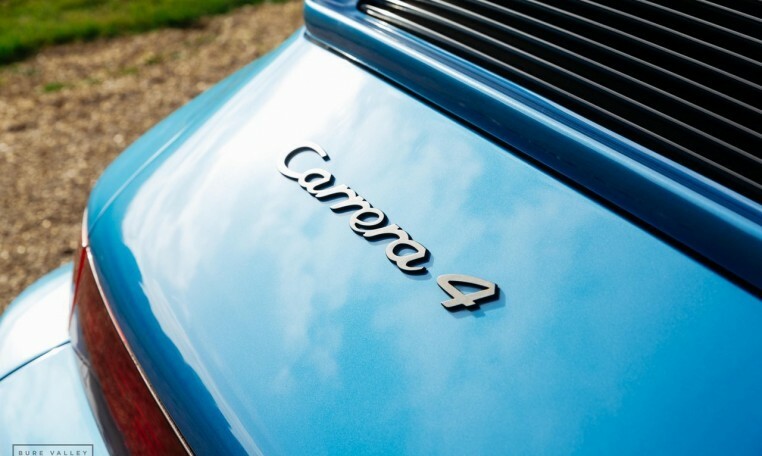 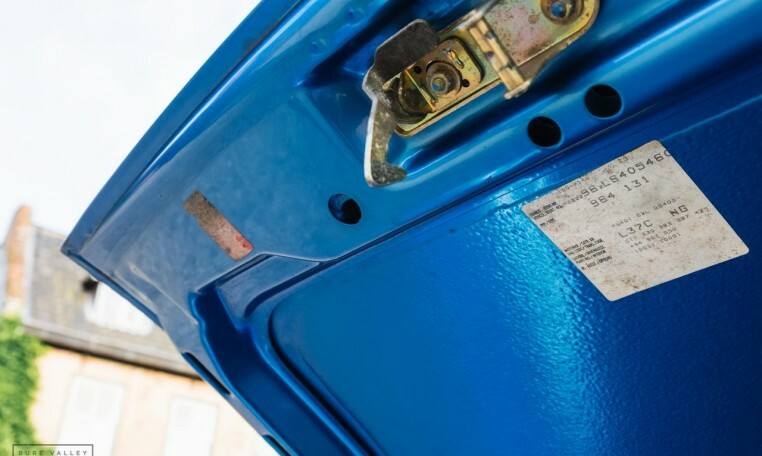 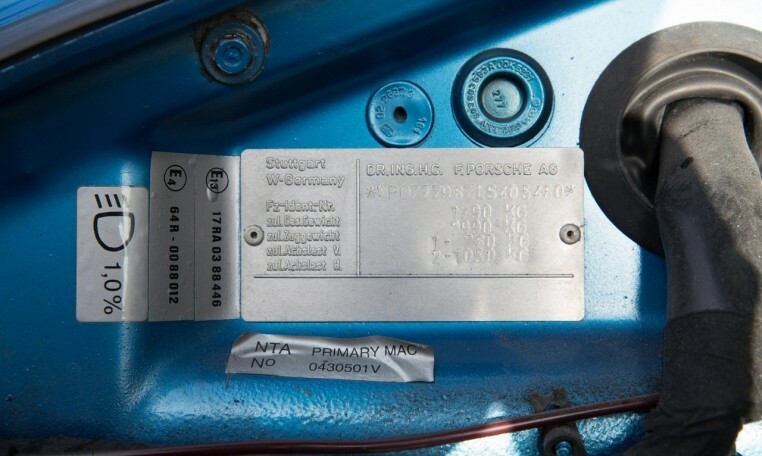 The car will be supplied with 12 Months MOT & 6 months warranty.